Contest's winners with the contest's organizer. Yekaterina Tsyganova. Photo from personal files. 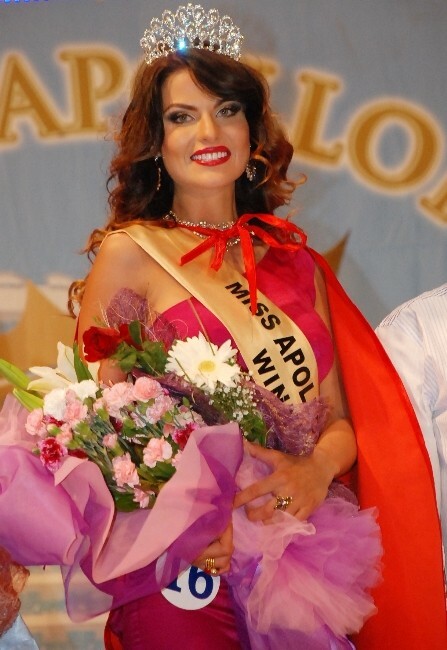 A model from Petropavlovsk, in Kazakhstan's north, Yekaterina Tsyganova has been awarded with the First Runner-up title at the Miss Apollon – 2014 contest that was held in Didim, Turkey on May 15-23, 2014, Tengrinews reports. The 21-year-old model is studying design at the North Kazakhstan State University. Before this year's contest Yekaterina Tsyganova took part in the Miss Kemer International-2013 and the Pearl of the University contests. Yekaterina Tsyganova. Photo courtesy of Yekaterina Tsyganova. Diana Kubasova from Riga, Latvia won the contest. 16 girls aged between 18 and 23 from Russia, Ukraine, Kazakhstan, Latvia, Armenia and Georgia participated in the contest.